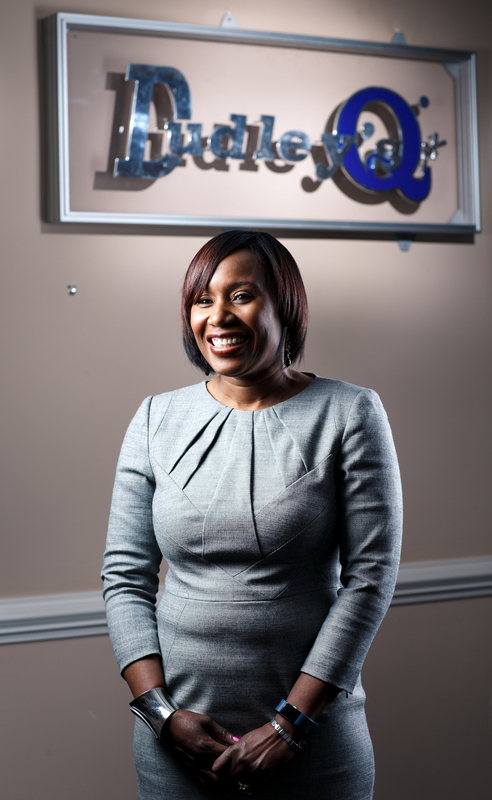 Ursula Dudley Oglesby, a respected business leader and humanitarian, has one main goal: to help change the economic base of the African American community in Greensboro. Ursula’s company, Dudley Beauty Corp, empowers independent distributors to become part of her entrepreneur business. Dudley Q is one of the most successful African American owned hair care brands, offering premium ethnic hair care products and cosmetics to beauty professionals, barbershops, salons and schools. My favorite quote is “where much is given, much is required.” This is what drives me on a daily basis, because we, as people, should give back to others. After graduating from Harvard Law School, Ursula began working for Dudley in 1991, doing everything from serving as the receptionist to selling door-to-door and working in the factory. She took over the business from her parents, Joe and Eunice Dudley, in 2008. Her father, a NC A&T graduate, started the business in 1967. 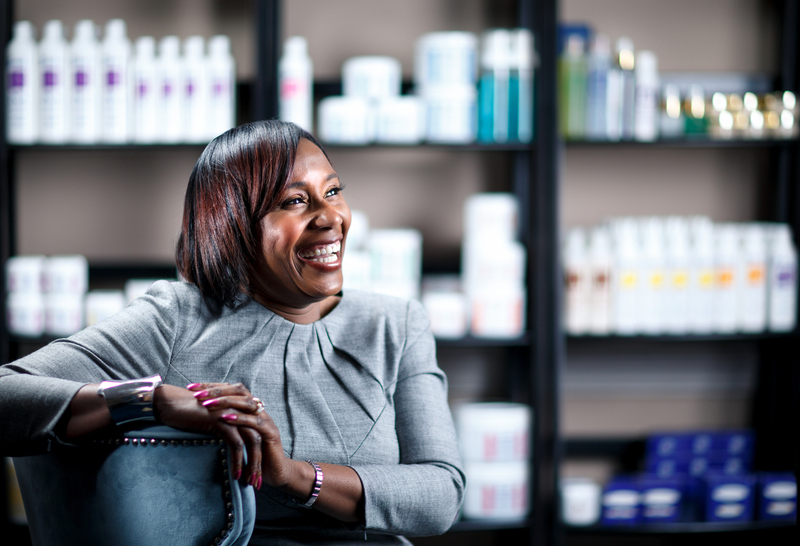 Ursula is now the President and CEO of Dudley Beauty Corp, which has national and international distribution. In the future, Ursula sees Dudley Q expanding e-commerce, launching new brand initiatives and increasing distribution to all 50 states. The company will celebrate 50 years in September and Ursula hopes to create a Black Entrepreneur Museum in honor of her father, who first began selling hair care products door to door in African American neighborhoods in Brooklyn, New York in the 1950s before settling in Greensboro and starting the Dudley Products label. “I’ve been blessed with great parents, a wonderful husband, Mark and a supportive family. Ursula is entrenched in the community as her daughter attends Grimsley High School and her son is a freshman at UNC-Greensboro. She is the Chair-Elect with the National Conference for Community and Justice, was an adjunct professor at NC A&T, serves on the Advisory Board for the Greensboro Chamber of Commerce, on the North Carolina Entrepreneurship Center board at the UNC-Greensboro and is a former Trustee board member of Providence Baptist Church.